Do you know about exempt employee? Your small business may need them to run a successful business. According to Fair Labor Standards Act (FLSA) an employer has the right to make their exempt employees work for any amount of time and at any schedule. Because you may need them at any moment to complete a task or project. In this article, we will discuss about exempt employees, non-exempt employees and their rights and duties. And a case study on how exempt employees have driven success to their business. What is the difference between non-exempt and exempt employees? Non-exempt employees: Employees get paid in the form of wages for all the hours they have worked and also get paid for overtime. Rights of non-exempt employees: Under FLSA, these employees are entitled for overtime pay for all the hours they have worked. They get 1½ the regular rate of pay over 40 hours in a workweek. Duties of non-exempt employees: Generally these employees are manual laborers or blue collar workers who perform repetitive physical operations like driving vehicles, sweeping floors, checking and repairing the equipments, typing, filling, cashier work, maintenance work, delivering merchandise, etc. Exempt employees: Employees get paid on salary basis which is not less than $455 per week. But they are not entitled for overtime pay. Rights of exempt employees: Under the FLSA, there is no limitations on amount of work time an employer can expect from employees whenever there is any requirements, i.e. mandatory overtime is not restricted. Exempt employees are entitled to receive the full amount of the basic salary in any work period for the work done. Duties of exempt employees: Employees have the freedom to take independent decisions for performing duties such as hiring, firing employees, assessing employee performance, determining credit policies, etc. Salary test: Exempt employees should not be paid less than $23,600 per year ($455 per week) on a salary basis. Duties test: Exempt employees should perform exempt duties. 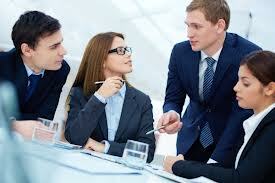 White collar employees – Executives, administrative, professional and outside sales employees. Certain retail and service industry salesperson who work on commission basis. Certain government employees (elected officials and their appointees, state and local legislative employees). Highly compensated employees Annual compensation is $100,000 or more. Compensation includes at least $455 per week on salary basis. Perform office or non-manual work. Executive exemptions Compensated on a salary basis at a rate not less than $455 per week. This employee’s primary duty is management of the organization or its department or subdivision. And he/she has the authority of hiring, firing, promoting or any other change status of the employees. Administrative exemptions Compensated on a salary basis at a rate not less than $455 per week. This employee’s primary duty is to perform office or non-manual work related to management or business customers. This employee must have advanced knowledge in the field of science or learning acquired by a prolonged course of specialized intellectual instructions. The primary duty must be the performance of work which requires invention, imagination, originality or talent in a recognized field of artistic or creative endeavor. Application of system analysis techniques and procedures. Example: design, development, documentation, analysis, creation, testing or modification of computer systems or programs. Design, documentation, testing, creation or modification of computer programs related to machine operating systems. In 1987, two bio-tech companies were trying to get FDA approval for their product. Genentech is the one such company who approached the FDA for the approval of its new drug called t-PA (Activase). Upto that point, there was no such drug that was listed in the history which dissolves clots in heart attack patients. On the day of meeting, committee asked for more information on the t-PA prolonged life. At that time, Genentech had access to all the information to convince the FDA, but it was not readily available. After 6 months they got approval from FDA. But it was too late to reach, as 10 other companies got into race. The other bio tech company is ‘Amgen’ racing at the same time for its product EPO. At that moment, their science was done, trials were done, product was ready and clock was ticking. Then Amgen’s people turned themselves into “Simi Valley Hostages” and worked for 93 days continuously forgetting their personal life and finally they prepared 19,578 page-document and ultimately they got the approval from FDA. Amgen took up this challenge and won the race whereas Genentech lost.